Air filter foam is available for industrial and commercial HVAC applications as well as air filter construction and manufacturers. LAMATEK provides foam filters that can be used in various HVAC and air handling applications including commercial boilers, transportation and motor vehicles, fan filter units, hood ventilation systems, humidifiers, air flow systems, heat exchangers and mist eliminators. Foam filter material is supplied for all applications. LAMATEK can cut specific sizes upon request or supply full raw material rolls. 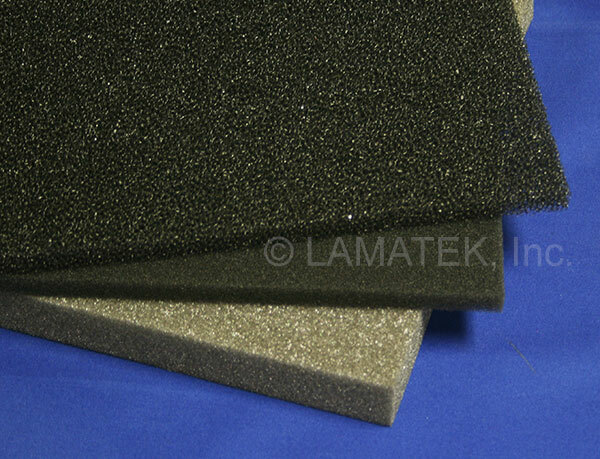 LAMATEK carries several UL rated foam solutions for the HVAC industry and manufacturers of HVAC parts and products. Foam filters are designed to filter out dust, dirt and insects while still allowing air to flow. Urethane polyester foam is UL-94 HF-1 rated for flammability. Self-extinguishing foam ensures safe installation where higher temperatures are present. Contact us today for more information about foam filter solutions.